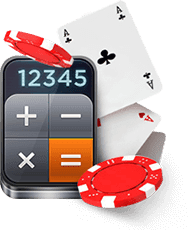 How Do You Calculate Equity In Poker? The Chris Moneymaker poker boom brought a lot of young players into the game, and they brought with them newfangled ideas on how to play, including a math-based approach where decisions are made based on mathematical factors such as "pot odds" and "equity." Many established players had a difficult time understanding these concepts, but once you get the hang of it, they can help you approach your decisions from a different viewpoint. There&apos;s an old saying in poker that the "cards don&apos;t lie." The same goes for math. What is equity in poker? Equity in poker is the share of the pot that is yours based on the odds that you will win the pot at that point in play. Equity changes after each street – pre-flop, flop, turn and river. 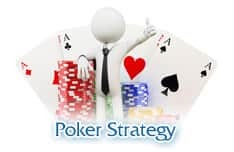 The strategy around poker equity is pretty simple. If you feel you have more equity in the pot than your opponent (i.e. you have the better hand at that moment) then you generally want to bet, for a couple of reasons. 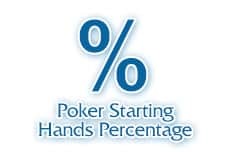 Betting will induce players with weaker holdings to fold, giving you the pot. If your opponent calls, betting grows the pot, making your "equity" worth a lot more. This assumes, of course, you have read your opponent correctly. Let&apos;s say you are a 70 percent favorite to win after the flop and you bet 1,000. Your opponent calls. The total bet for that round is 2,000. Your 70 percent equity amounts to 1,400 chips, so you increased your equity 400 chips by betting. The first chance you get to use equity is preflop. If you feel you have the best hand but don&apos;t raise, you&apos;ve missed a big chance to increase your equity. Besides increasing your equity in the pot, raising preflop has many other advantages. 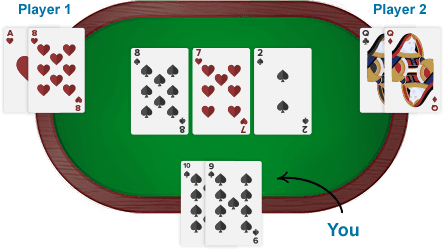 It reduces the number of players in the pot, establishes your image as being strong and aggressive and can often result in you having "position" in the hand. Remember, just as you would not really know your equity at any given point in the hand, neither does your opponent. Everyone is trying to determine what each other&apos;s equity is by putting them on a range of hands. 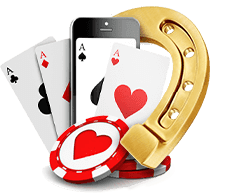 If you are the aggressor, opponents will naturally think you are playing a stronger hand and perhaps give you credit for more equity than you really have, which you can exploit by continuation betting on dry or strong boards. In general, the player with more equity is usually ahead in the hand. There are times, however, when you may be behind and still have more equity. Three players go to the flop. You are last to act and have 10s-9s. Player 1 has Ah/8h and player 2 has Qc-Qd. The flop comes up 8s-7h-2s. If you stopped the hand right then, you would lose to both players. Player 1 has a pair of eights (not to mention a backdoor, nut flush draw) and Player 2 has a pair of queens. Your combined open-ended straight draw and flush draw actually gives you more equity than your opponents. At this point, you are a 55% favorite to win the hand. Player 2 is at 28% and Player 1 is at 17%. Equity would dictate that you bet. Let&apos;s say you are in position and both players check. You only have a 10-high at this point and figure to be behind both players, but your potential is so good that it makes sense to try a semi-bluff, so you put out a bet of 2,000, and both players call. In terms of equity, you gained 55% of the 6,000 chips bet, or roughly 3,300 chips – almost twice what you bet. Let&apos;s say the turn is a brick for all three players – the 3 of diamonds. 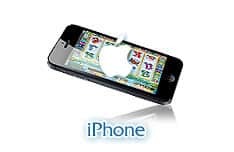 Your equity – the chance you will win the hand – has dropped to 36 percent. Player 1, with the pocket queens, is now at 55%, and Player 2 is at 9 percent. Let&apos;s say Player 1 leads out with a bet of 6,000 and Player 2 folds. What do you do? Equity dictates you fold, because now you are only a 1 in 3 chance to win the hand, and if you continually play those kinds of odds, you will be a losing player. But there are other factors that could lead you to make the call. How big is your stack? If you&apos;re in a tournament, how close are you to the money, or to the final table? If you fold, how many chips will you have left? Equity is not a hard and fast concept, of course. 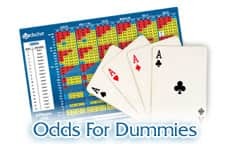 Unless your opponent has shown you their cards and you have a pot odds calculator at your disposal, you never really know your equity in a given situation, and you certainly can&apos;t predict what your equity will be after the turn and river. Still, understanding the concept and how to apply it can improve your game. Knowing your equity in poker relies greatly on the ability to accurately put your opponents on a hand. As you get better at reading your opponents, the accuracy of your equity analysis will also get better. Strict adherents to equity would say you should bet every time you believe you have more equity, as you will win more often than you lose. But equity is an inexact science and should just be one factor in the equation when deciding whether or not to bed, fold or call. Understanding equity helps you identify situations where you are ahead, behind or somewhere in the middle, enabling you to make the best betting decisions possible.